Returns over the past few years have not justified the level of investment for many farmers. 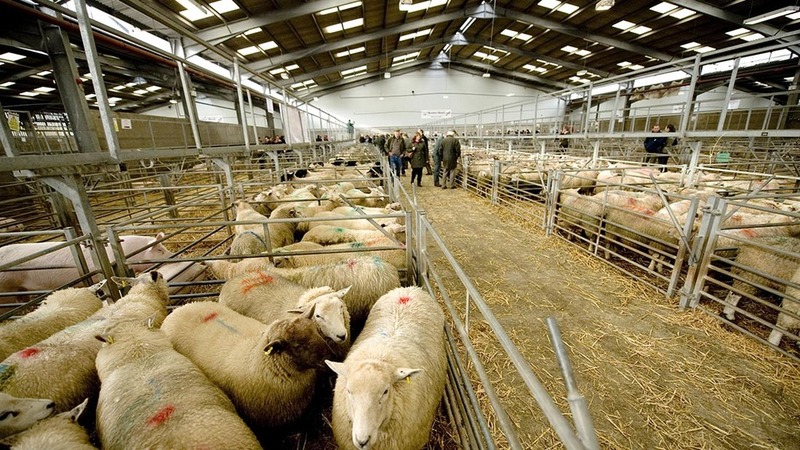 Sedgemoor market auctioneer Paul Ashton said the farmers he had spoken to who were lambing in January and February were not seeing a good enough return for the costs involved. He said: “A lot have said they have gone away from early lambing. They have not been at a good enough price to warrant it. National Sheep Association chief executive Phil Stocker called on retailers to support early lambing flocks if they wanted to be able to source British lamb for the crucial Easter period. He said: “Some retailers need to take it on board more if they want to be on UK lamb for that period of March, April and May. Prime lamb markets have had a positive start to the year, but decisions on Brexit could dominate markets across the next 12 months. In Scotland, Lawrie and Symington auctioneer Brian Ross said the New Year had started positively with prices up about 15p/kg on this time last year, but it was very unclear where markets would go in 2018. Mr Ross said last year’s sheep markets had been very good. Easter will also fall relatively early this year, with Easter Sunday on April 1, which will affect prices during the early part of the year. Mr Ashton agreed trade had been really good through summer and autumn. Brexit was a key talking point at markets and Mr Ross said people wanted politicians to provide some stability. Mr Ashton said the uncertainty was driving many farmers to consider giving up early lambing. But Mr Ross warned buying store lambs was a ‘very fickle’ business and expected mixed farmers in his area to continue keeping ewes. Mr Stocker added it was a high risk strategy with businesses very exposed to changing market conditions and many even more reliant on subsidy. He encouraged businesses to look at their whole enterprise going forward, alongside considering environmental schemes to ensure they were making a profit post-Brexit.